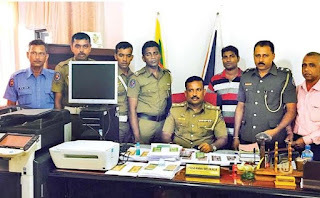 Horana Police cracked a fake currency notes racket and arrested a suspect. He had been printing Rs 5,000, Rs.1,000 and Rs.500 notes at his rented house at Moragahahena. The suspect was taken into custody with fake notes worth Rs. 2.8 million. 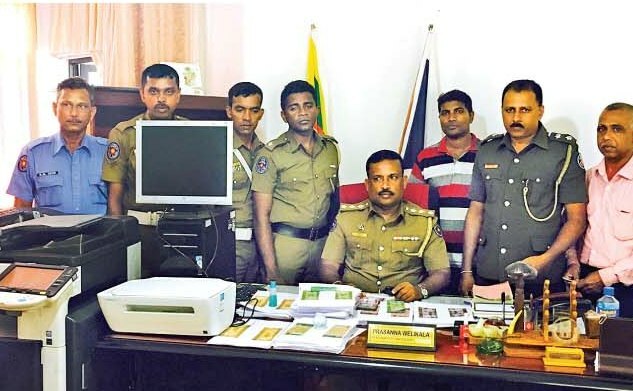 Computers and printing machines too were seized. The suspect had been printing fake notes when the raid took place.